Stevie Wonder is one of those musicians who was really lauded at one point, but he seems to have fallen out of favour a bit, and I think that’s really sad. You don’t hear a lot of bands talking about him as a reference. And the main thing with Innervisions is it’s his sixteenth record: that longevity is crazy. I had a boyfriend who was a bit of a Nazi when it came to the stereo, and when we met I was in that whole indie world still. I’d put on the music I liked and it would last two songs and then come off, and something he liked would go on instead, but I didn’t mind because what he liked was so far from what I liked that it was part of my musical education. He really opened my eyes to soul and funk and disco and jazz, and this record was part of that. 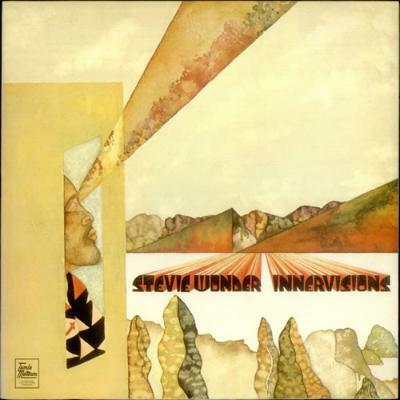 Stevie Wonder’s stuff from this period is really romantic, and it’s a beautiful record. There are elements of socio-political commentary on it, but ultimately it’s just super warm and beautiful and heartwarming. It’s a sentimental choice, but it’s a great Sunday morning lovers record: just pottering around making the tea and listening to this.